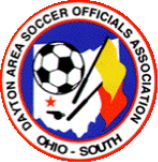 DASOA is Dayton's premier association for soccer officials. 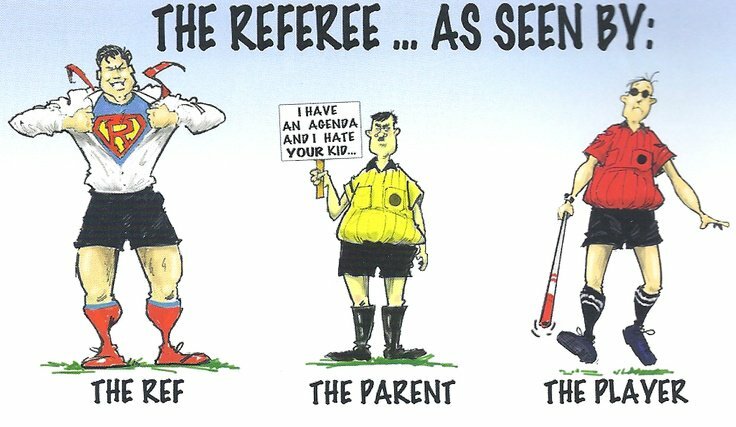 We make it simple to get trained, certified, assigned games, and connected with our referee community. The 2019 AGM was held Saturday January 26 from 11:30 to 2:00 at Alter High School in the cafeteria following the Grade 8 recertification clinic. Food and drinks were provided. Door Prizes were distributed to many lucky winners. Elections were held with the following positions being filled by Doug Niekamp as Vice-President, Steve Wetzel as Treasurer, Gerald Green and Allen Revels as Trustees. THANKS to outgoing board members Jamie Rowe and Maggie Short for their many years serving DASOA as board members. SEE YOU AT NEXT YEAR'S AGM! The spring schedule is being worked on. Look for announcement when it is posted. Each referee will get 20 tokens each night to spend on games (token count is in upper right hand corner while looking at open games). This allows everyone a chance to get into the system and get games before they are all gone. Any questions please feel free to reach out to Shawna Spada by phone 937-206-7017. Please leave a message if you get voicemail as she may be helping another ref and will call you back. If your complex is closed, the league will notify us and we will then close the field for the game in the game scheduling system and the refs on the game will get an email notification. We also use a text message system from RainedOut that will send a text message if you are signed up to receive them. You would need text the word DASOA to the number 84483 and then you will start receiving the text messages.